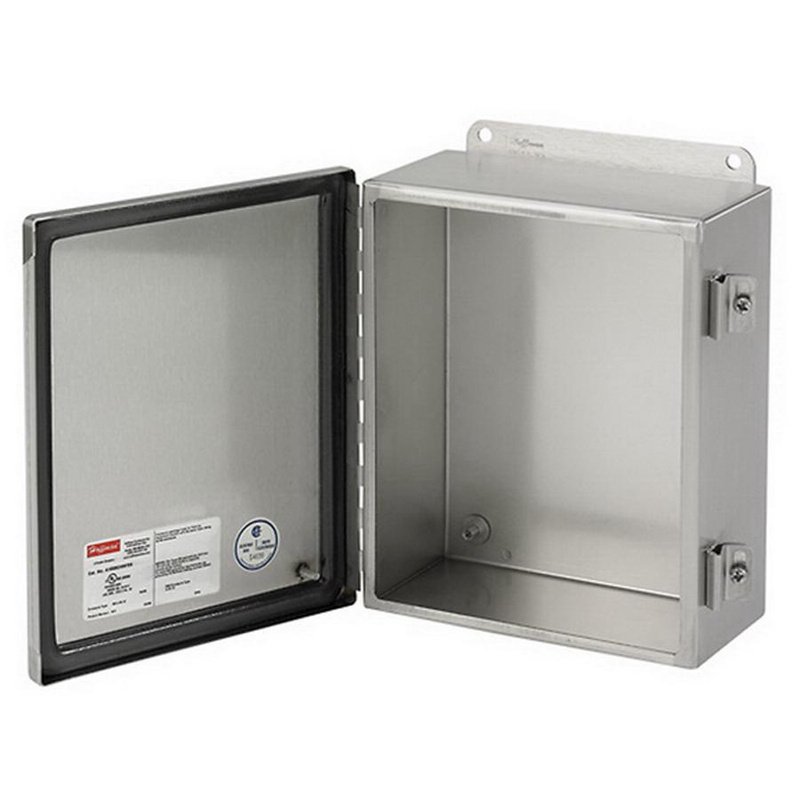 Hoffman 1-Door junction box has continuously welded ground smooth seam for neat appeal. Combination of stainless steel clamps, continuous stainless steel hinge with hinge pin and seamless foam-in-place gasket in this junction box, provides reliable seal to protect components from corrosive environments. It has 16- or 14-gauge type 304 stainless steel construction with brushed smooth finish. It measures 6-Inch x 6-Inch x 4-Inch. Weld nuts of this junction box allow mounting optional panels. ANSI 61 Gray polyester powder-paint finish ensures greater protection against corrosion. This junction box provides bonding provision on both door as well as body for adding extra mounting features. It is suitable for use in either indoor or outdoor applications. Junction box is UL listed, cUL listed, CSA certified and meets NEMA/EEMAC as well as IEC standards.